Draft and curved bail, Bali style. 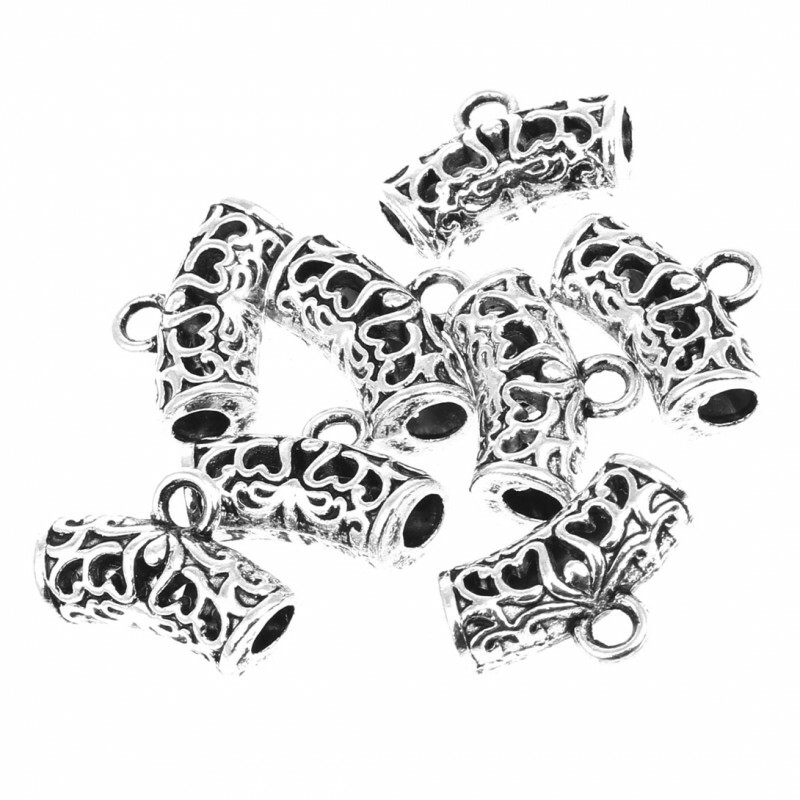 This original bail has a cylindrical curved format and has beautiful openwork to decorate your jewelry creations. 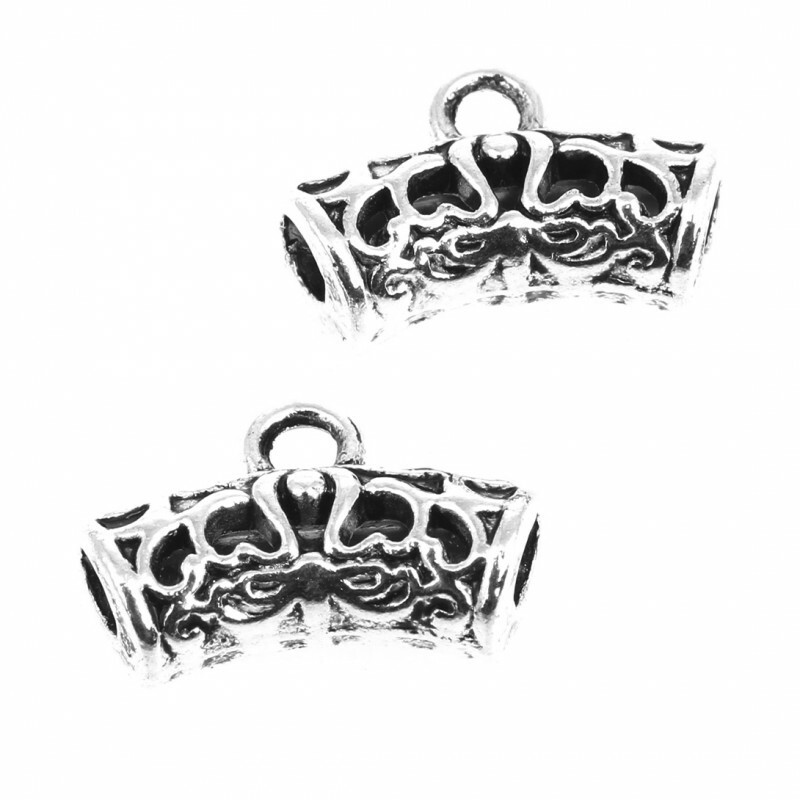 It has been made with a zinc alloy in antique silver color and its measures are 14 mm x 9.5 mm x 4 mm, with a hole for a ring of about 2 mm. 20 grams bag with about 21 pieces.